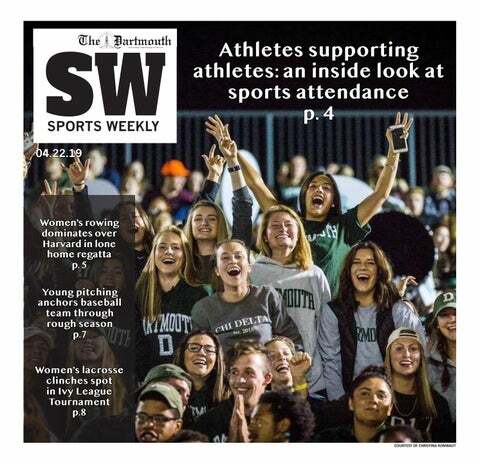 Today, Dartmouth cites class bonding and the opportunity totake an off-term during the traditional school year as the main justifications for sophomore summer, but the original purpose of the term was very different. In the mid-twentieth century, the College voted to adopt sophomore summer as it made the transition to a coeducational institution. English and creative writing professor James Dobson, whose course ENGL 55.12, “Dartmouth Fictions,” seeks to correct misconceptions about Dartmouth’s history, explained how sophomore summer was conceived of as a response to the influx of new students at the College. While some Dartmouth students are aware of the original reason sophomore summer was an attractive option for the College, this part of Dartmouth’s history remains unknown to many. “Now we think about it differently, right — we say the reasons for sophomore summer are to produce class bonding or something, which is all a retroactive justification for an artifact of the intense struggle for coeducation,” Dobson said. As sophomore summer has evolved to focus on the concept of class bonding, Dartmouth students have established traditions. One of those is Tubestock, the former summer term big weekend in which students would have a day party and raft on the Connecticut River. Tubestock was canceled in 2006 due to safety and legal concerns and was originally replaced by Fieldstock, a large carnival that the College organized for students. However, Fieldstock was also canceled due to a lack of student interest. Now, for the most part, the traditions that sophomores are most excited about are outside the realm of organized activity. Tim Holman ’20 listed some traditions that he is looking forward to this summer. Alex Chen ’20 also shared some of her excitements for the summer. “It’s about being extra crunchy, meeting new people and getting really close with your class,” Chen said. The intimate experience of sophomore summer that Chen alluded to is also something that many Dartmouth professors consider one of the most successful elements of sophomore summer. Public policy professor Charles Wheelan ’88 discussed the benefits of having a communal classroom atmosphere in the summer. Another benefit of sophomore summer is the fact that it allows Dartmouth to bring visiting professors to campus to teach for a term. This, in fact, is the reason why Wheelan was able to come teach at Dartmouth in the first place. Dobson also emphasized the summer term’s ability to broaden student learning experiences through visiting professors. Opportunities like these demonstrate the ways in which sophomore summer has evolved since its conception, giving students a uniquely fulfilling experience each year. However, while sophomore summer has changed in many ways, Wheelan notes that it has also remained the same. When students think about sophomore summer, they think about bonding with their class, but they are also taking part in an experience unique to Dartmouth. As such, sophomore summer is yet another way that the College facilitates a community not just within classes, but among them. Every Dartmouth student who has experienced sophomore summer has at least a few fond memories in common with the rest of us. That is also why students look forward to this term so much: they want to participate in the shared experience that upperclassmen whom they look up to have told them about.